Es Cana is situated on the east coast of Ibiza just a few minutes away from Santa Eulalia Ibiza Resort Guide and boasts a beautiful soft sandy beach. 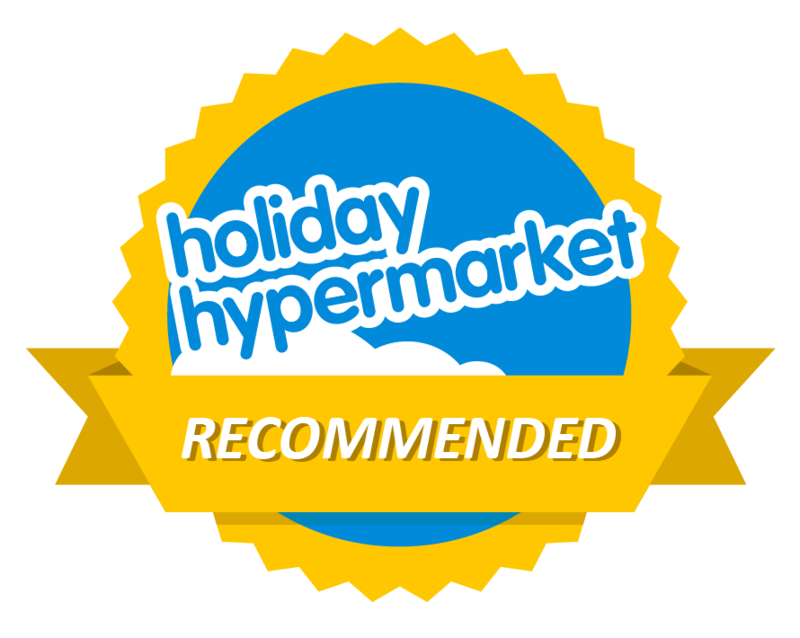 The resort is popular with families, especially those with younger children who are looking for a great relaxed holiday away from the larger bustling resorts. Es Cana is laid back but with still enough on offer to keep everyone happy. The main beach is a horseshoe shape with a small harbour at one end and boasts crystal clear shallow waters and beautiful golden sand. It is a long beach and within walking distance of the main accommodation in the area. It offers watersports in abundance including waterskis, pedalos, para-sailing, banana boats and of course regular boat trips leaving from the small harbour. There are plenty of bars and restaurants to eat at just off the beach allowing for an easy and relaxed time away from home. A ten minute walk to the north brings you to Cala Nova a favourites spot for surfers, when the wind is right, and offers an unspoiled beach with soft sand stretching into the Mediterranean. There are several beaches and restaurants offering a very relaxed and chilled atmosphere and is also home to Atzaro Beach where you can enjoy fresh food and cocktails just metres from the sea, with regular live music or simply the sound of breaking waves. To the south is Cala Martina beach. This beach is home to the wind and kite surfers of the island. Here you can enjoy lessons as well as diving with a well-respected diving school. On the left of the beach is the Beach Bar (offering live music on some evenings) and further south you will find a fantastic restaurant serving amazing paella. Es Cana itself has a good range of shops so you won’t go without while staying in the resort, nearby at Punta Arabia is the oldest and largest hippy market on the island. This takes place each Wednesday in the summer with hundreds of stalls selling everything from handmade jewellery to clothing in fact pretty much everything. Live music and food is also on offer and you will lose hours here with ease. 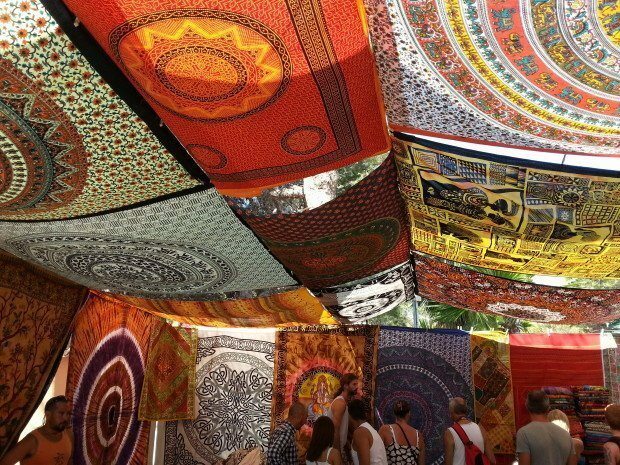 If you miss the Wednesday Hippy Market there is also the Las Dalias Hippy Market each Saturday throughout the year and on Monday evenings in the summer with live music and DJ’s playing in their club room. 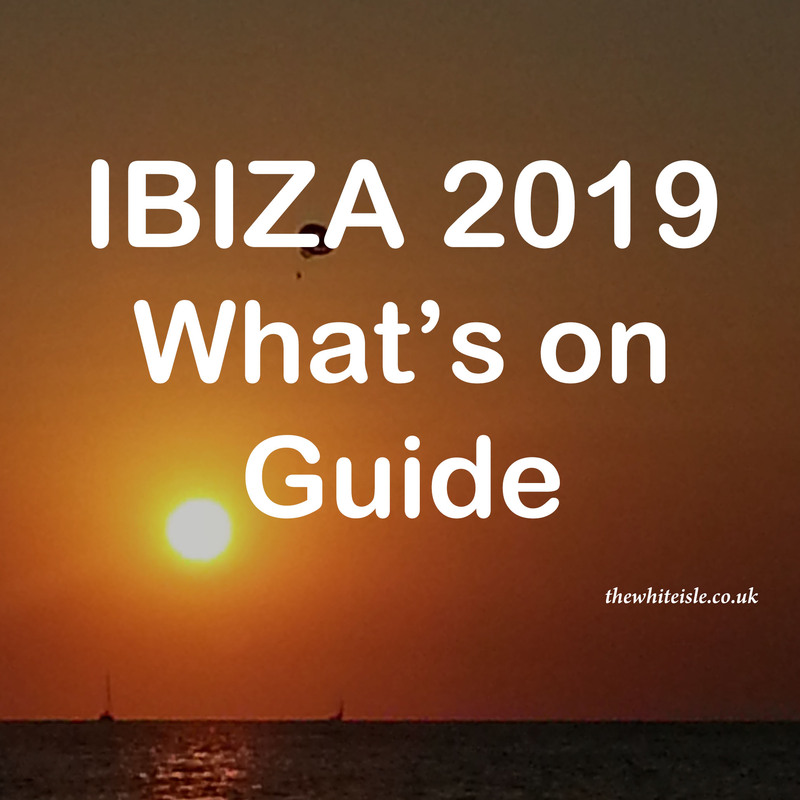 Watersports as we have mentioned are in abundance around Es Cana but there are also ferries which run daily to Santa Eulalia and nearby Cala Longa and to Ibiza Town or you can opt for a day trip to Formentera the beautiful sister island to Ibiza departing from the small harbour. 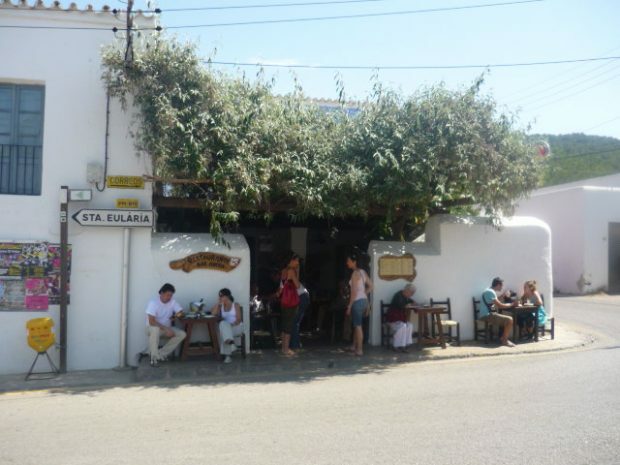 Why not take the tourist train which is a 3 hour excursion and includes the historical village of San Carlos, a fully restored 17th century farmhouse and refreshment stop at Cesar’s beach bar, before wending its way back to Es Caná – a great way to see more of Ibiza and it’s unique beauty. The surrounding countryside of Es Cana is also worthy of exploring if you have time. Largely unspoilt with deep red earth, fields and pine forests the landscape it is truly beautiful, also the nearby white-washed village of San Carlos, home to the legendary Anita’s Bar where you have to sample their homemade Heirbas (the local tipple). 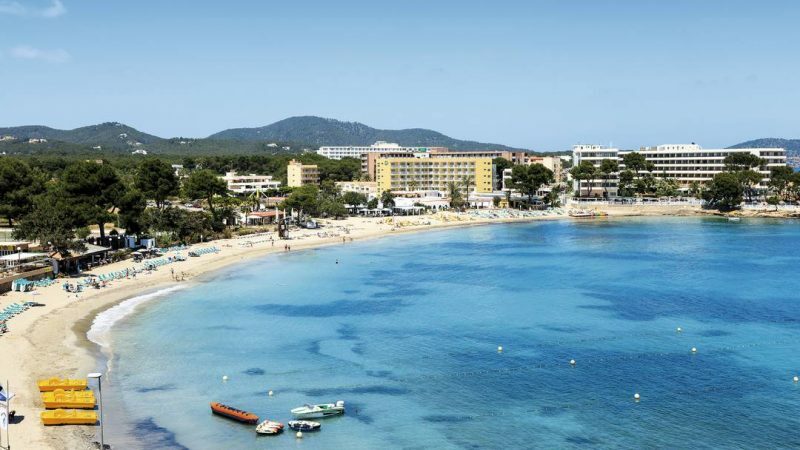 As well as the ferries the resort has good bus links to the nearer larger resort of Santa Eulalia where you can grab further buses to Ibiza Town for the day and go exploring the historic Dalt Vila, the impressive shopping area or laze down by the large harbour and marina. Es Cana is around 30km (20 miles) from the airport so do expect a longer transfer than other resorts on the island however with its quieter laid back pace and true natural beauty it is well worth it the extra time taken to arrive there. There is an abundance of accommodation in and around Es Cana from budget hostels and apartments to 3* hotels many within walking distance of the beach and harbour.